Following Leeds United's 2-1 home defeat to Derby County last week, head coach Thomas Christiansen was keen to emphasise the importance of the weekend trip to Brentford. Unfortunately, three points eluded the Whites once again. They lost 3-1 to the Bees and Christiansen was once more left to pick up the pieces. The result was the team’s seventh defeat from nine Championship matches, leaving them sat 10th in the league table. Immediately, the pressure on the coach was ramped up as speculation about his future grew. Asked if he would still be in charge for the upcoming game against Middlesbrough, which takes place after the international break, he replied: “Yes, all these situations will be hard, more pressure. There is an increasingly frustrated feeling at Elland Road regarding the way the season is shaping up. After last season’s play-off push, a summer of positive change and a good start, the campaign is, worryingly, beginning to disintegrate. ARE CHRISTIANSEN’S TACTICS SUPPRESSING LEEDS’ TALENT? While Leeds lost Chris Wood over the summer, the £15m received for his sale was reinvested in the playing squad. 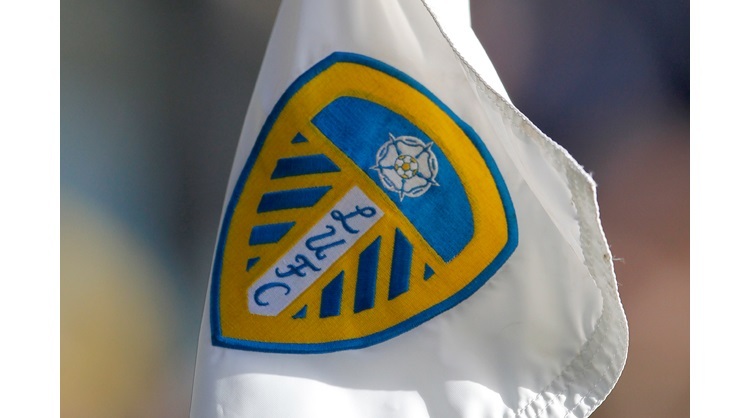 The club spent over £1m on seven players: Pontus Jansson, Samu Saiz, Ezgjan Alioski, Hadi Sacko, Mateusz Klich, Jay-Roy Grot and Pawel Cibicki. This reinforcement of the squad left it, generally speaking, in a better state than last season, particularly in the central and attacking midfield positions. It also paved the way for the tactical changes Christiansen wanted to implement. At APOEL Nicosia in Cyprus, the Spanish coach preferred to use a 4-2-3-1 shape in which possession was built from the back with a mixture of short passes and the occasional measured direct ball. An attacking midfielder supported the lone striker, while the full-backs were encouraged to get forward and the wingers often tucked inside. Christiansen was therefore quite fortunate when arriving at Leeds. The team had used a similar system last term, while moving from Garry Monk's relatively conservative approach to a more fluid and open one was made easier by the influx of creative players. However, the coach has been unable to adapt tactically to internal and external issues. When suspensions and injuries have resulted in a lack of defenders, he has refused steadfastly to even consider a back three as an alternative to a back four. And, faced with an abundance of playmaking midfielders, he has struggled to fit them all into his favoured shape. It could be argued that Leeds’ current group is as multi-faceted and talented a squad as they have had since relegation from the Premier League over a decade ago, but Christiansen has struggled to make full use of it. While Christiansen can be blamed for not adjusting tactically to maximise the talent available to him, he should not be made to shoulder all responsibility for Leeds’ struggles. There are, after all, a number of factors he has little influence over that have hampered his side’s chances of progress. One of the major problems has been the defensive decline this season. Under Monk, Leeds were resolute and difficult to break down. They operated collectively with two banks of four, the wingers chipped in without the ball and everyone knew their role. Christiansen has brought in a more attacking approach, but this has led to an increase in conceded goals. Indeed, the team’s goals against per game rate has gone up from 1 last term to 1.2 this season. However, this is partly down to the fact that Jansson has failed to find his best form and Kyle Bartley, whose loan from Swansea came to an end in the summer, was never truly replaced. The lack of quality and depth at centre-back is a problem that has more to do with transfer policy than tactics or training. For that, new director of football Victor Orta should be taking some of the heat for the decline in results. Another factor that Christiansen has no control over is time. It takes time to implement new ideas, especially within a football team that has endured so much change in such a short period. Expectations around Leeds were inflated by the positivity of last season and the summer window, but after just 11 league games it’s still too soon to properly assess the new coach’s suitability. There seem as many reasons for the 44-year-old to stay as there are to go, at least for the time being. And the decision-makers at Elland Road may be further swayed by the sort of image they want to put across. Andrea Radrizzani bought the club in May and will want his time at the helm to be separated from fellow Italian Massimo Cellino’s chaotic reign, when managers came and went with scant regard for the short- or long-term future. If the new boss wants to impress the fans, he must keep faith with his first coaching appointment. Sacking Christiansen now would send the message that, while the faces may have changed at Leeds, the vision remains the same.